Hyundai Motor Co. will build 1,000 commercial fuel cell electric trucks to be operated in Switzerland beginning in 2019, the automaker said Wednesday at the 2018 IAA Commercial Vehicle show in Hanover, Germany. Hyundai will work with Swiss hydrogen company H2 Energy to build an infrastructure that will support hydrogen refueling stations across the country. The fuel cell truck is developed from the Hyundai XCient truck currently in use throughout Asia. It is equipped with up to eight hydrogen storage tanks providing energy to two parallel fuel cell stacks on board. “Especially for heavy-duty trucks, we think that fuel cell is the perfect fit,” said Mark Freymueller, head of commercial vehicle new business projects for Hyundai. Hyundai will deliver the first trucks by the end of 2019. The order of 1,000 trucks will be completed by 2023. Hydrogen fuel cell trucks are gaining traction. In the U.S., Toyota Motor Corp. unveiled a new version of its Project Portal prototype in August to test at ports in Southern California. 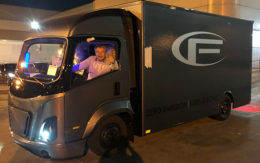 Startup Nikola Motor Co. has received 9,000 non-binding orders for its hydrogen fuel cell truck, including 800 for brewing giant Anheuser-Busch. Hyundai intends to expand its hydrogen fuel cell project beyond Swiss borders. “With a successful start in Switzerland we believe we can expand our market presence to other European countries as well,” Freymueller said. 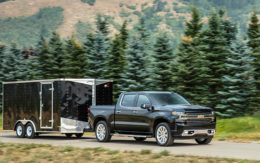 The truck will be available in 4×2 or 6×2 configurations. It also marks the introduction of Hyundai to the heavy-duty commercial market in Europe. Switzerland was chosen for the program for several reasons. First, the small nation features challenging terrain with steep elevation. “If it works in the Alps it might also work in the Netherlands,” said Rolf Huber, founder and chairman of H2 Energy. Second, the country levies steep road taxes on commercial vehicles to reduce emissions and prevent trucks from crossing through the country as they traverse Europe. Depending on weight and distance driven the annual tax can cost up to $50,000 per vehicle, Huber said. But electric trucks are exempt from the tax. The potential savings from the tax exemption alone contributes to a total cost of ownership that Huber expects will be equivalent to operating a conventionally powered truck. Hyundai and H2 Energy will build hydrogen stations across Switzerland that will fuel both commercial vehicles and passenger cars. Huber estimates that about 50 stations will be built to support the 1,000 trucks. Maintenance or repairs to the truck’s hydrogen fuel cell components will be handled through a partnership with Swiss laboratories and research centers, Huber said. Operators who take delivery of the Hyundai trucks are part of the H2 Mobility Switzerland Association, a consortium of private companies. Among them is Coop Cooperative, which operates the largest gas station chain in Switzerland. It opened the country’s first hydrogen station in 2016. Hyundai is not finished introducing fuel cell vehicles. 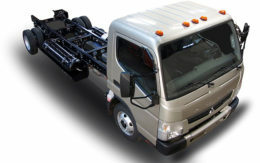 The company said it was developing a hydrogen fuel cell truck for the medium-duty market as well.